We’re excited to announce that Rich Israel’s fun coming-of-age ’60s memoir, Groovin’, has won a Readers’ Favorite bronze medal! They are also fully accredited by the BBB (A+ rating), which is a rarity among Book Review and Book Award Contest companies. 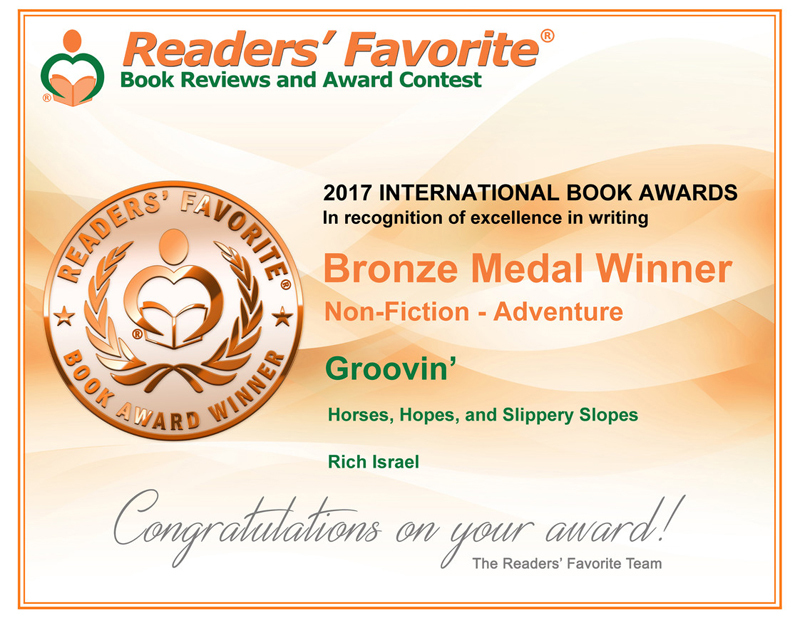 To learn more about Rich Israel, Groovin’, and the award, visit https://readersfavorite.com/book-review/groovin. Our thanks to Readers’ Favorite and our congratulations to Rich Israel!